The evidence of the power of the sun is everywhere. It keeps our solar system together, provides warmth for all living things to grow, and gives us beautiful light to see the wonders of the earth. Without it, we would not be able to exist on this planet. It’s easy to take for granted, in all of its majesty, that the sun not only provides important benefits for the earth, but for the well being of us all. Daylight has a direct impact on our productivity, sense of satisfaction, and overall every day life. When you get regular exposure to sunlight, you tend to be more positive, less stressed, sleep better at night, and have a higher sense of welfare. Because sunlight causes our brains to produce serotonin, a hormone that can improve mood by alleviating pain, you tend to find yourself more energized. When you receive adequate exposure to natural light, you become happier and well-rested. And who’s going to complain about that? Artificial Lights? Not so much. It’s no secret we prefer to be in a naturally lit environment as opposed to one that relies solely on electric light sources. Artificial light cannot come close to replicating the quality of natural light and its positive impact on us. 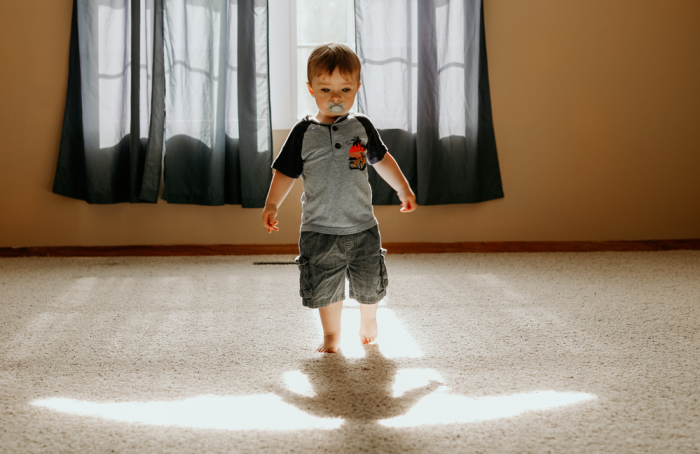 An article in Psychology Today* suggests that the evidence is pretty solid that certain artificial lighting can induce a stress response and negatively impact sleep. * Not so good. So How Can You Bring the Outside Light In? You can with tubular daylighting. This lighting system distributes sunlight throughout the spaces in your home that otherwise wouldn’t receive natural light. Tubular daylighting allows you to have beautiful, natural light without any complicated structural modifications to your house or gaping holes in your roof. The process is simple: a dome on top of your roof captures sunlight throughout the day and funnels it through a tube made of the most reflective material in the world. It then redistributes the rays into beautiful, diffused natural light inside your home. Inside the tube is an integrated solar-electric system that collects energy by day to power a soft nightlight after dark. This leaves you with gorgeous, diffused natural light during the day and a moon-like glow at night. The nightlight emits just enough light to avoid nighttime tripping hazards such as sleeping dogs and stray toys. 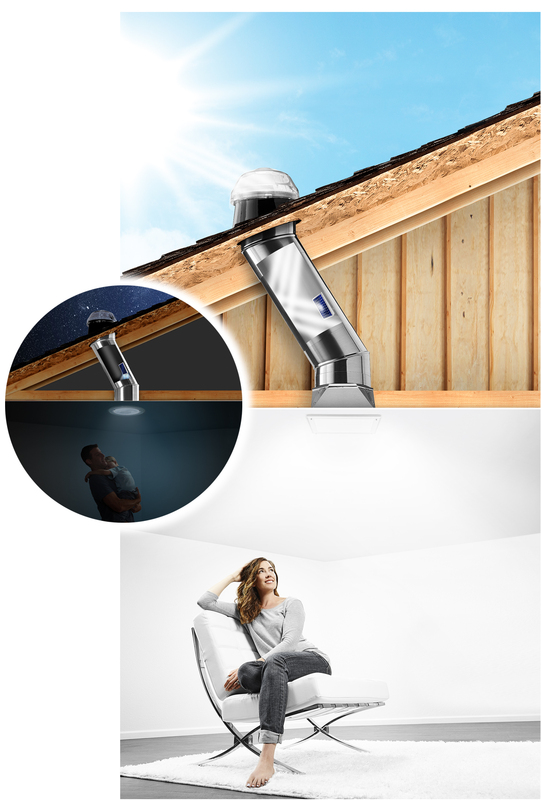 If you are interested in bringing natural light into your home, call your local Solatube Premier Dealer to schedule a free in-home consultation. Solatube Premier Dealers are trained and certified residential daylighting experts. They can assess your needs, provide a customized solution, and install your new daylighting system in about two hours. To contact dealers in the San Diego and South Orange County areas, call Solatube Home, the industry leader, at 619.319.9426. For our Los Angeles and North Orange County dealers, contact at 323.886.2271. * Dunckley, Victoria L., M.D. “Why CFLs Aren’t Such a Bright Idea.” Psychology Today. September 2014.